Friday night, and day two of stouts is a Dark Truth Stout from Boulevard Brewing Company. The twelve ounce bottle shows 9.7% ABV. 60 IBUs are listed on their web site. 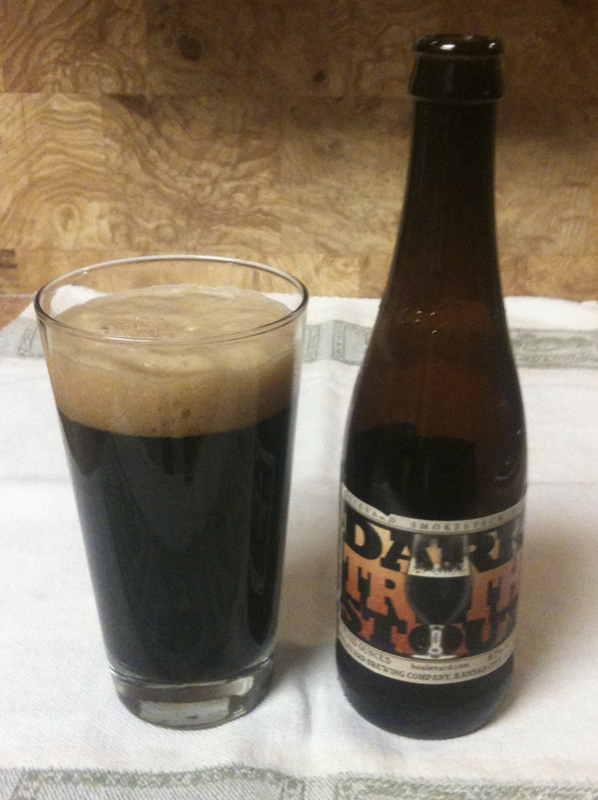 The Dark Truth poured with a very thick, and extremely brown head. This one is a DARK blackish brown. Holding it up to the light doesn't let a hint of light through. The aroma is fairly mild, with a touch of sweetness (that makes me think of licorice) and some herbal & spice notes. With the color and thick, dark head I suspected this one would be malty, but the malt does not dominate. 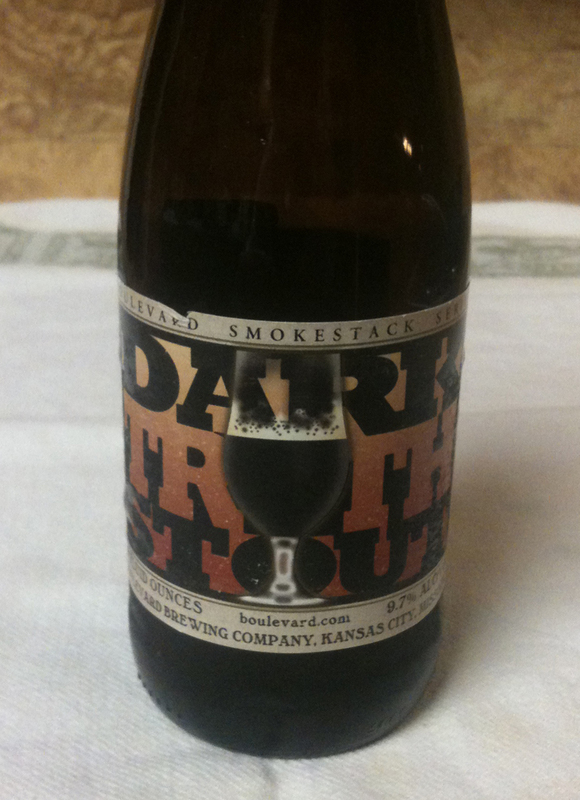 The taste is strong, maybe not as strong as some other stouts, but complex. Chocolate and fruit notes. As you drink, it feels frothy on the tongue - a lot of mouth feel. It finishes with a bit of smoky spice on the tongue, but there is very little bitterness to the aftertaste.